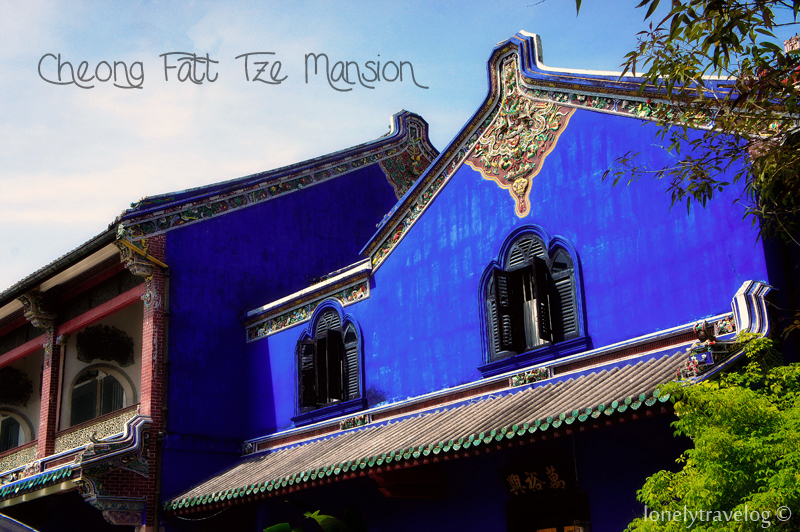 Aside from the Pinang Peranakan Mansion at Church Street, The Blue Mansion or known as Cheong Fatt Tze Mansion is a must visit when you are in Penang. 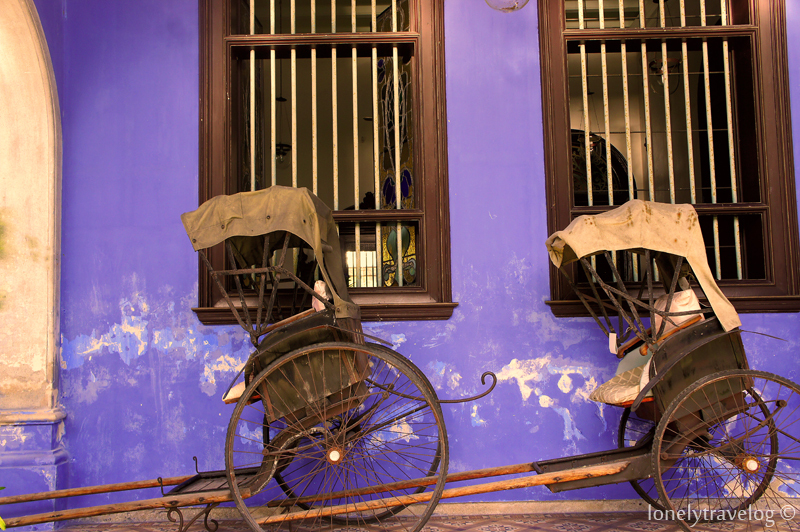 Cheong Fatt Tze was a prominent Chinese figure in the newly established Penang Straits Settlement in the 19th century. The Mansion’s construction began before the end of the 19th Century, and it was said that Cheong Fatt Tze had hoped to house nine generations of his descendants. The mansion was built by master craftsmen brought in especially from China and building materials were imported from as far away as Scotland, who used their skills to fashion the mansion with 38 rooms, 5 granite-paved courtyards, 7 staircases and 220 windows. The plot of land was chosen after heavy consultation with the era’s preeminent feng shui masters. The distinctive blue colour mansion is easy to spot along Leith Street and was named one of the ‘ 10 Greatest Mansions in the World’ by Lonely Planet. The blue coat is the result of mixing lime with natural blue dye made from the Indigo plant. The arch gate has a three tiered Chinese tiled roof. 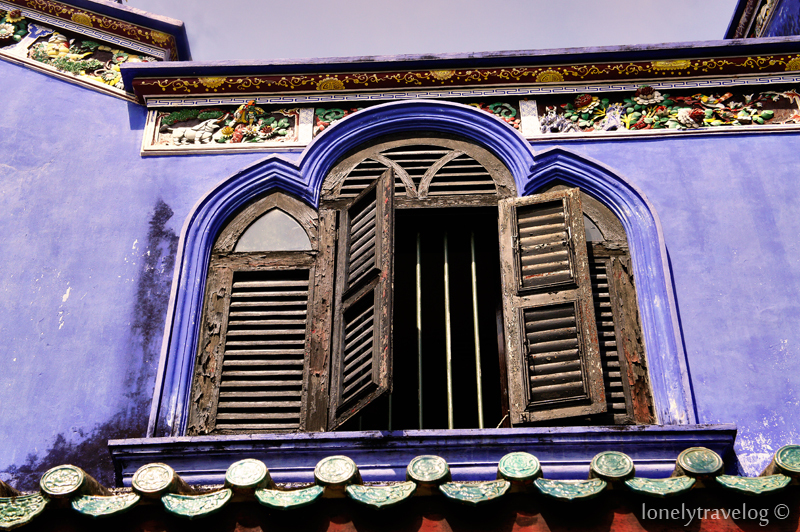 The Blue Mansion also won UNESCO’s Most Excellent Project Asia Pacific Heritage Awards in 2000. I decided to go for a guided heritage tour of the mansion. The entrance hall is furnished with 19th-century Chinese ebony chairs and tables inlaid with mother-of-pearl. This is where the visitors wait to be greeted. Spot the lantern chandelier that descends from the ceiling and stoke-on-trent floor tiles. 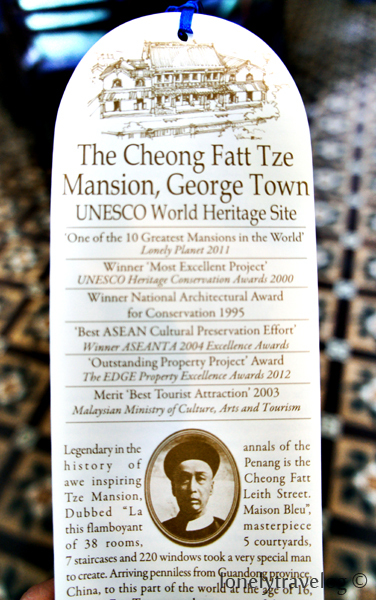 Left, photo of Cheong Fatt Tze. Right, photo of Cheong Fatt Tze’s wife. I was told Cheong Fatt Tze had at least eight wives! 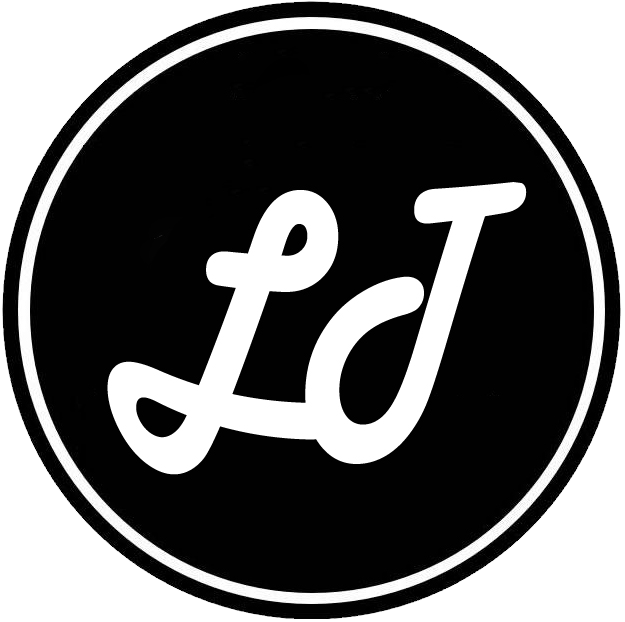 The cast iron works from Scotland. Spot the Victorian ceiling. Iron cast pillars skirting the courtyard. View of the center courtyard. Visitors to the mansion are being watched at all times. Clothes that were left behind at the Mansion. Restoration of the Chinese decorative arts is not an easy task. 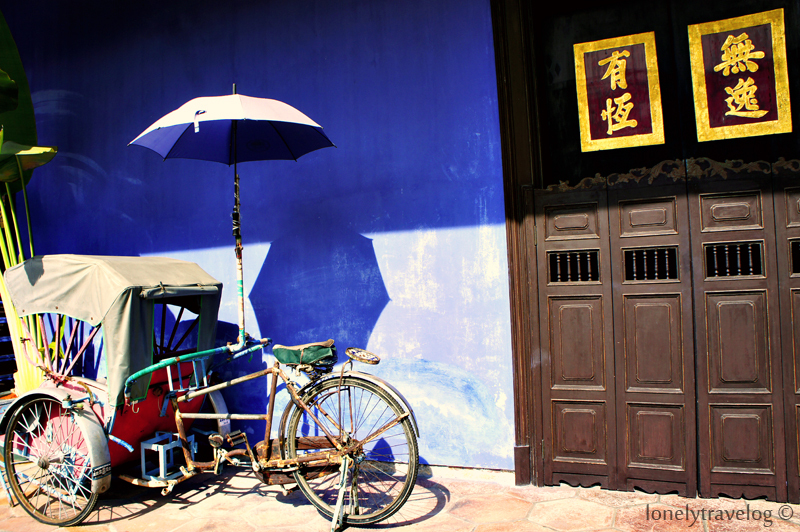 Local Penang artisans as well as from the China were brought in to restore the artworks to the original state. Daily guided heritage tours start at 11am, 1.30pm and 3pm. Admission fee is RM12. The mansion is not open to public outside these hours unless you are the guests of the boutique hotel.